PPIs work by reducing stomach acid, and they can either be prescribed by a doctor or purchased over the counter in pharmacies and supermarkets. The drugs have been linked to serious health problems in past studies, including kidney disease, stomach infections, heart disease, pneumonia, bone fractures, and dementia. Researchers from Washington University School of Medicine in St. Louis wanted to additionally determine whether the proton pump inhibitors are dangerous enough to increase people’s risk of dying early. The team also compared several million people who took PPIs to those who did not take any drugs for heartburn, and had similar results. Those in the PPI group had a 15% increased risk of early death compared to those in the non-PPI group, and a 23% higher risk of dying during the study than those who didn’t take any heartburn medication at all. 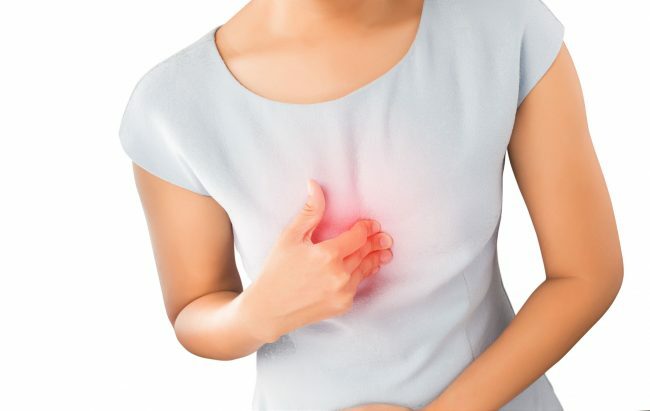 After adjusting for other potential factors that could have influenced the findings – including whether people who take heartburn drugs have were more likely to have underlying conditions, or if they were prone to infections – the findings remained strong. The researchers found that the longer an individual took a PPI drug, the higher their risk of death. The study was limited in that it did not explore participants’ cause of death, and it followed primarily older adults. Furthermore, the study was observational and therefore cannot prove a cause-and-effect relationship between PPI use and early death. So what can heartburn sufferers do to ease their discomfort without drugs? In a 2007 study, ginger was found to treat heartburn better than PPIs. Ginger inhibits acid reflux and contains potent proteolytic enzymes, which help digest proteins in the stomach. Eating cucumbers and drinking lemon water have been shown to help heartburn. Lemon also soothes indigestion, bloating, and burping. People who suffer from heartburn may benefit from adding more avocado oil to their diet. The digestive tract is helped by the abundance of vitamins, minerals, and monounsaturated fatty acids found in avocados. One of the theories as to why PPI medications increase the risk of early death is that they alter gut microbes. The drugs lower stomach acid, but acid reflux is actually caused by too little stomach acid. Ingesting 1-2 teaspoons of apple cider vinegar mixed with 8 oz of water 3 times a day, then increasing the dose to as much as 5 teaspoons of apple cider may help acid reflux.